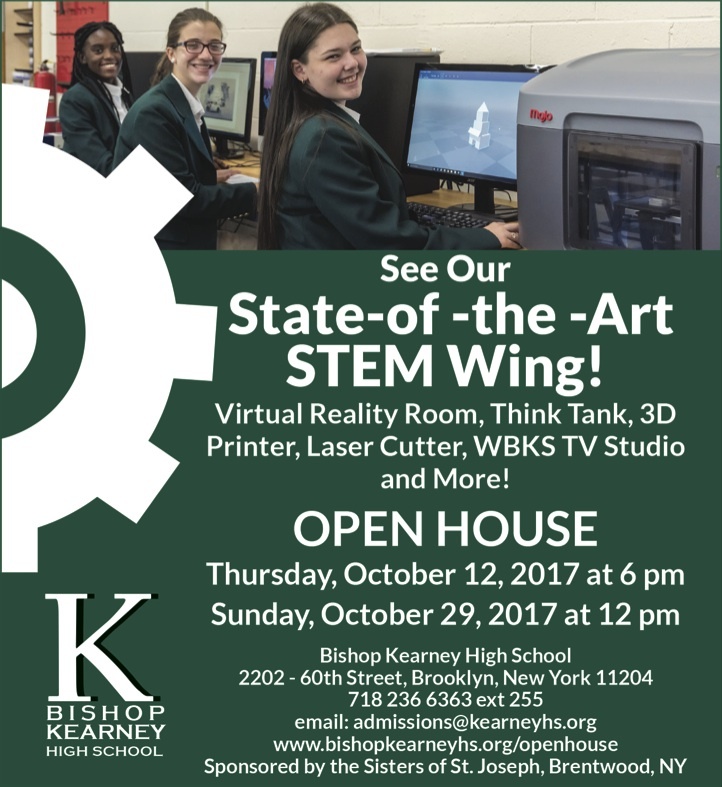 Bishop Kearney High School in Bensonhurst is proud to announce that its STEM Wing is ready to launch in September 2017. The STEM Wing includes a Virtual Reality Room, Think Tank, Computer Numerical Control Machine Room, Chemistry Lab, WBKS TV Studio and a Fabrication Laboratory (FabLab). The FabLab, including a 3D printer, brings an array of digital design, digital fabrication, and craft tools together as a resource for making and learning at Bishop Kearney. Over the summer, an interdisciplinary team of Bishop Kearney teachers received professional development in the STEM Wing. One of the trainings included how to use three digital design programs to design small architectural models based on famous buildings. Working in teams, the teachers turned their digital designs into physical realities with the laser cutter, creating a kit of parts that they then used to build their models. The trainings concluded with a discussion on how these projects can be used to incorporate each part of the STEM Wing into classroom lessons.